AURONZO CANDIDATE CITY FOR THE 2023 WORLD CANOE CHAMPIONSHIPS - Venice Canoe & Dragon Boat a.s.d. 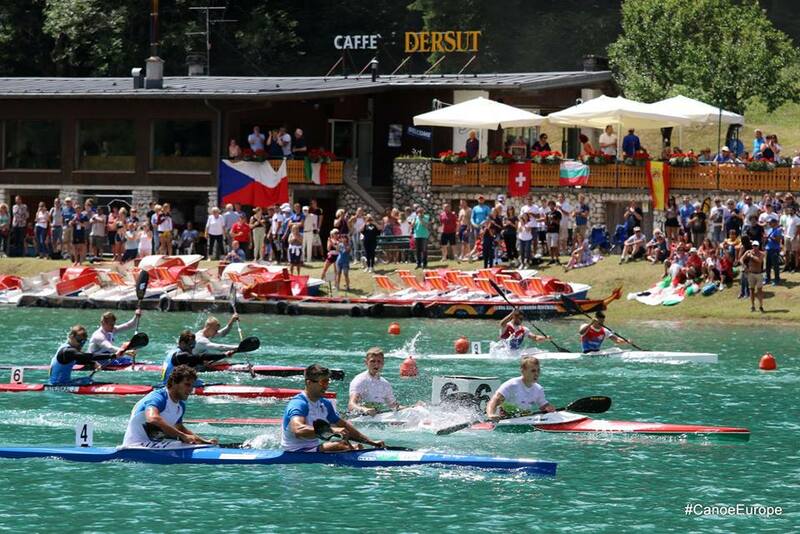 The success achieved last June with the 2018 European canoe sprint championships encouraged the Administration of Auronzo to immediately propose itself for the next international events 2021-2022-2023. The perfect organisation promoted the 2018 European competition field with full marks, allowing the Organising Committee to present to the Italian Canoe Kayak Federation (FICK) the expressions of interest to be sent to the International Canoe Federation (ICF) and the European Canoe Federation (ECA). The evalutation amongst the experts pushed for the candidacy to be proposed for the 2022 European events, however a recent constructive comparison led the Italian Canoe and Kayak Federation (FICK) to approve the candidacy for the 2023 ICF World Junior and Under 23 Championships, communicated these days to the International Federation. Great preparation and synergy by the Organising Committee – made up of the Council of Auronzo, Venice Canoe & Dragon Boat, Canoa Kayak Auronzo Misurina, the Tre Cime Auronzo Misurina Tourist Bureau and coordinated by the sports manager Andrea Bedin – is strongly supported by the Italian Canoe Kayak Federaiton, the FICK Veneto Regional Committee, the Province of Belluno and the Veneto Region. “””It is a candidacy that once more confirms the added value that the Veneto area can give to sport. It is an open-air stage where the combination of sport, landscape and culture is fascinating, and is a healthy resource for the economy as well as an important developing factor for the mountain locations. The hope is that this candidacy will be successful and certain that, as always, the Auronzo community will know how to excellently welcome the staff, the supporters, the athletes and the young from all over the world.""" It is the first time that the 2023 ICF World Junior and Under 23 Championships would be held in Italy, and as such in the Veneto Region, and it would see as main players young athletes from 17 to 18 years old (Junior) and multi-medal winning athletes from 19-23 (Under 23), who aim towards qualifications and Olympic victories. Attached: Photos of the recent 2018 European Sprint Championships held in Auronzo and photos of the presentation of the candidacy at the offices of the Veneto Region (31-01-2019).